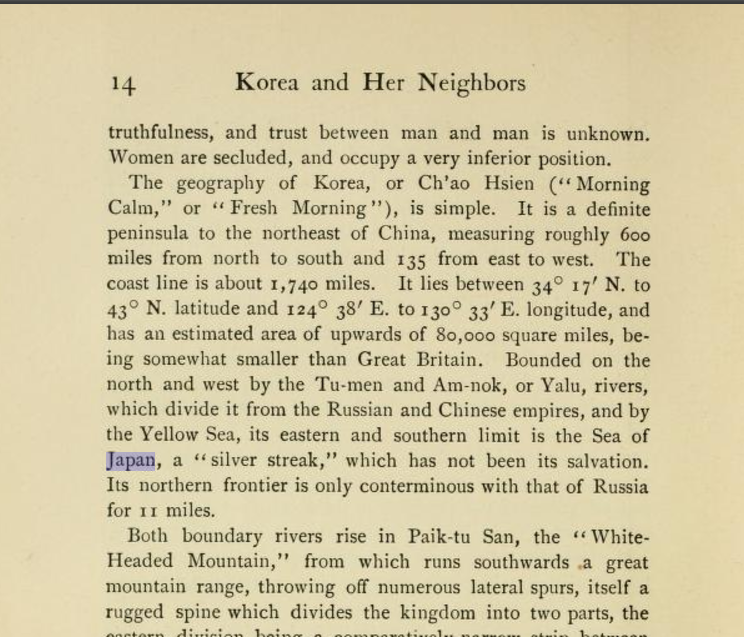 The geography of Korea, or Ch'ao Hsien ("Morning Calm," or "Fresh Morning"), is simple. It is a definite peninsula to the northeast of China, measuring roughly 600 miles from north to south and 135 from east to west. The coast line is about 1,740 miles. It lies between 34°17′N. to 43°N. latitude and 124°38′E. to 130°33′E. longitude, and has an estimated area of upwards of 80,000 square miles, being somewhat smaller than Great Britain. 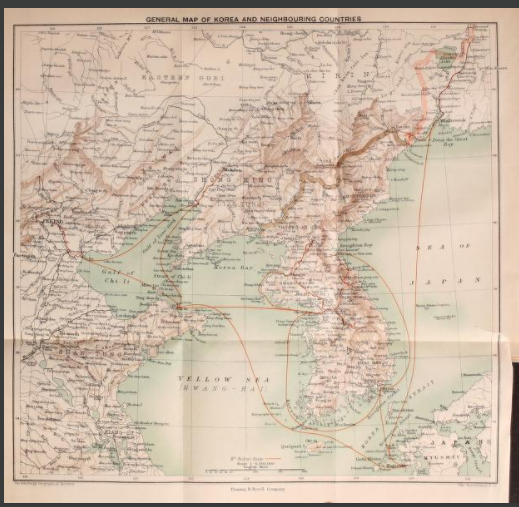 Bounded on the north and west by the Tu-men and Am-nok, or Yalu, rivers, which divided it from the Russian and chinese empires, and by the Yellow Sea, its eastern and southern limit is the Sea of Japan, a "silver streak," which has not been its salvation. Its northern frontier is only conterminous with that of Russia for 11 miles.